Whether you want to buy a fancy new car or just lease it, Auto Car Express can help you take out an auto loan quickly and easily. You can even improve your credit history with on-time payments. 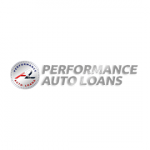 Performance Auto Loans can provide you with a personal or auto loan even if your credit score is not so great. 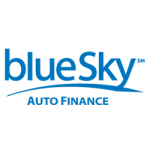 Auto loans go up to $20,000 and the maximum repayment term is 48 months. 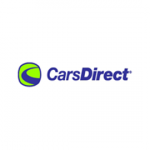 Ever since 1998, CarsDirect has been the best way to buy cars online. Their users can research market prices through the portal, as well as purchase, insure, and finance their vehicles. To help you make an informed decision, we will now elaborate on all the criteria we used while developing our list of the best bad credit car loan companies. Interest rates are likely to be higher for individuals with a bad credit rating. You should definitely do a thorough investigation of different lenders but expect to pay even more than 20%, as this is a commonplace occurrence in the world of bad credit loans. Before you take out a loan, make sure you can afford to pay these rates and that this is your last remaining option. If you have some temporal leeway, you can wait until you improve your credit score since you’ll automatically be awarded better interest rates. Loan terms are also important, but we can go either direction here, depending on your specific situation. In some cases, you’ll want more time since there are no prospects of obtaining a significant amount of cash in the near future. On the other hand, if you’re desperate for cash now and you’re about to receive an influx in a short time, a shorter term would be better. The reputation of a bad credit car loan company is essential since, as we mentioned, this area is a veritable breeding ground for loan scammers. A thorough research will help you avoid things like yo-yo loans, co-signer “straw purchases,” the “as-is” purchase, refusal of online financing, and so on. 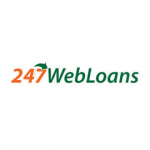 Requirements of the loandetermine whether the overall service will be the best fit for you and whether you’ll be able to apply in the first place. You’ll need to find out if borrowers are simply disqualified if their credit score falls below a certain number. 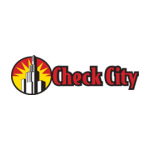 Does bankruptcy in your credit history make you automatically ineligible? Do they have a strict car restriction? This criterion also investigates whether the loan requirements are clear and transparent enough. Customer satisfaction is one of the best ways of learning everything the company might try to hide from you. Apart from customer feedback, you can also check if BBB or other relevant agencies have rated the company in question.